Just about every company that makes glazed structures has read at least one study about how important it is to be exposed to natural daylight. But you might be surprised about some of the ways that daylighting really helps your body and mind. These are seven reasons to use daylighting that might surprise or delight you. reading and other close in tasks increasingly uncomfortable. Daylighting solves this problem when both direct light is added and the reflective glare is controlled. [Boyce, Human Factors in Lighting, 2014]. Daylighting encourages reading, investigation. Collections in libraries with daylighting are used up to 50 % more than traditional closed off collections. This is probably due inpart to the illumination outlined in the item above (visual acuity). Both formal studies and informal investigations have found that people spend more time in spaces that are well lit with daylight (not artificial light) than they do in other areas. 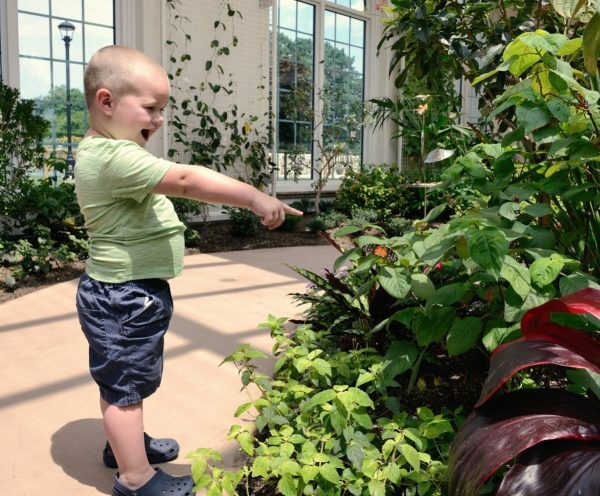 The new butterfly atrium at the Hershey Conservatory has noticed that patrons spent 25% more time than before they had the daylight atrium. Effective light increases the quality of sleep. Our bodies are set to an internal clock called the circadian rhythm which depends, in part, on the light / dark cycle that the sun provides. When our ancestors worked outside more, both hunting and farming, they absorbed much more sunlight on a very regular basis. As our population began to work in buildings, away from the sun, we lost part of the natural cycle. By adding the sunlight back into our lives via skylights and other daylighting options, we restore the circadian rhythm and our sleep cycles return to normal. We get a better quality of sleep. Daylighting provides brain stimulation. Working inside, the level of light is controlled, even and flat. The variation in light that comes naturally when the sun moves across the sky, causing the eyes to adjust. This is just one of the ways the brain is kicked into action with the sun. There have been several studies that show sunlight increases alertness, focus and reaction time. All of which provides the stimulation your brain requires to help it stay active and healthy. Daylighting promotes vitamin D generation. You may remember some version of this from health class in school. In short, vitamin D is important in helping your body absorb calcium, necessary for bone strength. Sunlight is needed to energize the vitamin to allow your body to take in more calcium. Before we knew about the connection between vitamin D and the sun, children had rickets and adults got osteomalacia – both bone diseases which are extremely uncommon now. Now osteoporosis (thin bones) is on the rise. Beyond the bones, vitamin D binds with receptors in other organs from the heart to the prostrate to keep us healthy. Which may be why so many studies show that people who work in daylight settings are healthier overall. It only takes harvesting 1% of daylight to serve visual needs. Daylight is actually very bright. If you’ve ever tried to read, work on the computer or even look at your smartphone in sunlight you understand it’s too bright. Intensity varies depending on the time of year but even in winter months and cloudy days daylight is bright enough to harvest for the average work environment. With the advances in glass production and technology available it’s possible to design any building to deliver 2% of the available daylight in most spaces. The above facts are just a few of the many reasons that more buildings should be designed for maximum use of daylight. As more people become aware of the many positive effects of sunlight on the body and mind, the demand for “healthy” buildings will continue to increase. The studies that have already been done are just the beginning. More surprising outcomes are just over the horizon.